The bride is usually the one who pays attention to the wedding songs and she is usually the one who is in charge of creating the list of music. The bride starts off by creating a list of her favorite songs, and the songs her and her groom love the most, to be played on their wedding night. The bride usually chooses the songs that bring back beautiful memories of her relationship with her groom, or songs that have a happy vibe and easy to dance to. But choosing all the songs for your wedding is not an easy taks and picking your favorite ones can be confusing, because like every wedding, there are different parts that require different songs, such as the wedding entrance, the zaffa, the first dance. And one of the most important parts of the wedding is when you enter the wedding venue with your groom and walk to the dance floor. Some brides choose to play a song that is special to her and her groom, while others prefer music that adds excitement to their entrance. 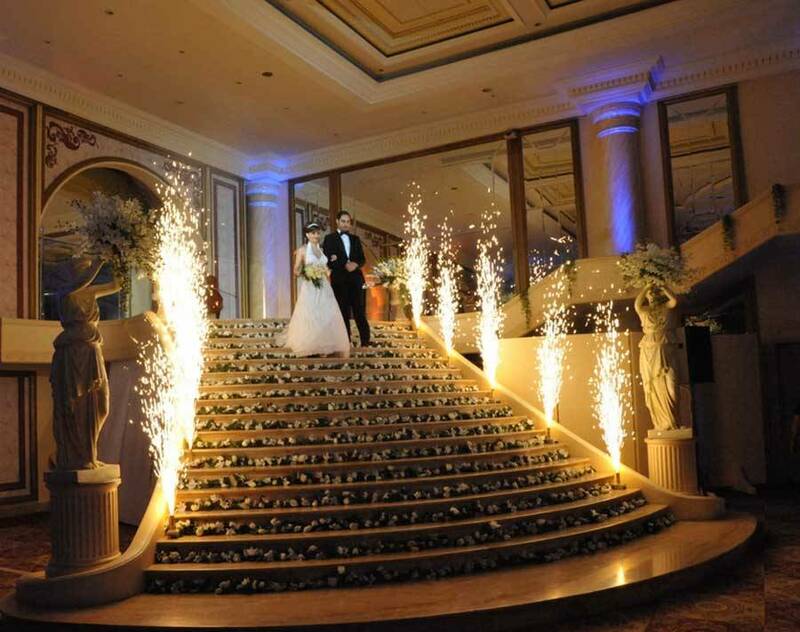 Lebanese songs are probably the most popular choice among brides when it comes to picking their wedding entrance song, because there are so many Lebanese songs that have beautiful and happy lyrics and amazing music. Whether you decide on entering alone on a song, and your groom entering on another different song, or entering the wedding venue together, there is an endless choice of Lebanese songs for you to choose from. To help you out, we have compiled a list of the top and most beautiful Lebanese songs that are perfect for your wedding entrance.